The best way to finish off your emo style is with some trendy emo makeup. 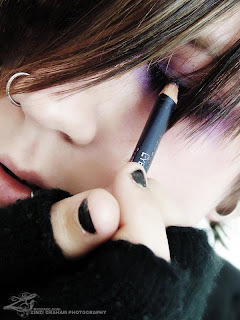 Both guys and girls can wear makeup as part of their emo look. However, emo youths do not wear the same makeup fashions as many other people. Instead, they have their own way of using makeup to compliment their unique, expressive style.